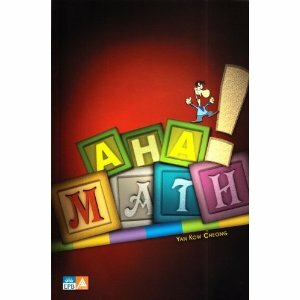 These quality MathPlus Publishing titles may be ordered online—as printed books or e-books. 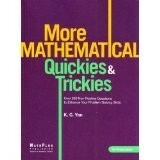 Thanks to Mathematical Quickies & Trickies, which comes with over 300 non-routine questions to enhance your logical and problem-solving skills, you can now learn to tame these counter-intuitive questions into routine ones. With proper insight, you’ll learn how to solve these tricky problems almost instantly, whose solutions are almost never the correct ones. You need no longer be caught off-guard; instead, you’ll learn to solve these questions confidently. For users with Android smartphones and tablets, to buy the e-book, Click Here! 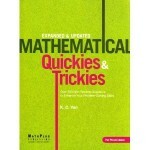 On Amazon.com, Mathematical Quickies & Trickies is priced at US$12.90. You will not only be exposed to different problem-solving techniques, commonly used in answering math contests and competitions questions, but also learn to appreciate elegant or intuitive solutions. For users with Android tablets and smartphones, to buy the e-book, click HERE. On Amazon.com, More Mathematical Quickies & Trickies is priced at US$12.90. Not only you’ll be equipped with the strategies and heuristics in solving non-routine geometry questions, but you’ll also be enriched with no fewer than 20 items of recreational geometry to enhance your appreciation with many hours of aha! moments. 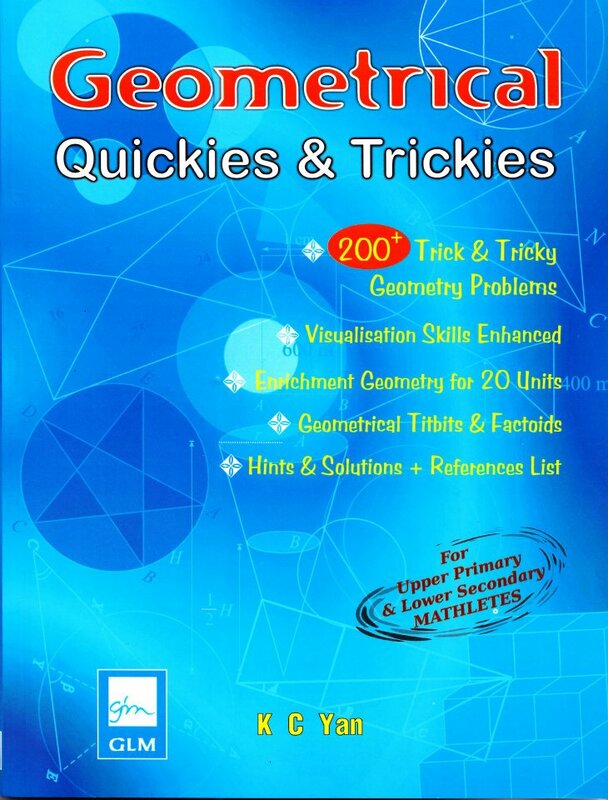 On Amazon.com, Geometrical Quickies & Trickies is priced at US$12.90. A recreational-and-problem-solving math book, CHRISTmaths attempts to bring together the joy (or spirit) of Christmas and the spirit (or joy) of mathematics. 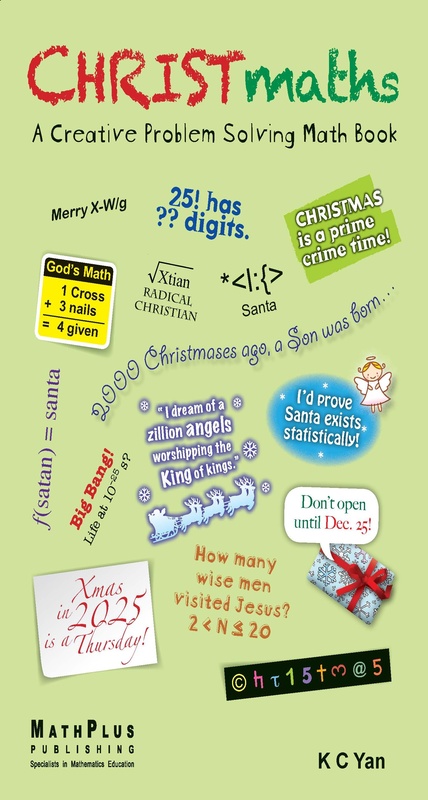 Looking at topics linking Mathematics and Christmas—what the queen of the sciences and the king of the public holidays have in common—CHRISTmaths will not only appeal to a Christmas or Christian audience, but also to any problem solvers who enjoy mathematics recreationally. 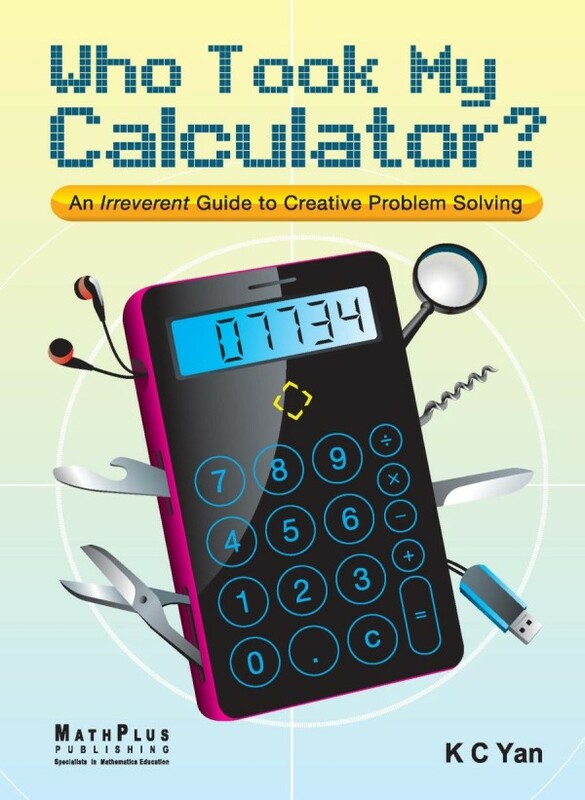 • mathletes who long for some creative mathematical problem solving to tickle their mathematical bones. CHRISTmaths hopes to give readers the opportunity to experience the Ah, Aha! and Ha Ha of Mathematics. On Amazon.com, CHRISTmaths is priced at US$12.90. Ι ԁο not even know how I ended up here, but Ι thought this pοѕt wаs gooԁ. if уοu are nоt alreaԁy 😉 Cheers! Maths is a deep subject for many kids. I’m so happy that I’ve found this site. I think these resources will be very useful for my teenage son.